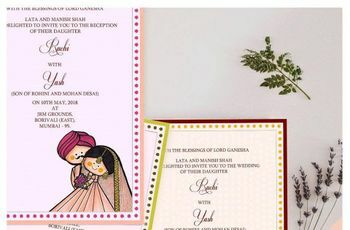 7 Things to Consider for Your Wedding Invitation Cards Before Finalising One | Wedding Tips ARE YOU A VENDOR? 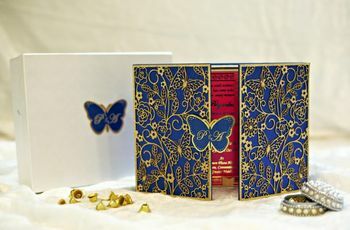 Want to make your wedding card invitation stand out from the crowd? Bookmark this article so that you don't miss any key points when talking to your designer. To have a wedding that people will remember for years to come, you must make a great impression from the beginning. The first opportunity you’ll have is with your wedding invitation cards. It deserves equal attention as the bridal lehenga or the venue. But there are so many different styles out there that it can be hard to pick one for your invitation card. You can personalise them to tell your unique story to all your guests. 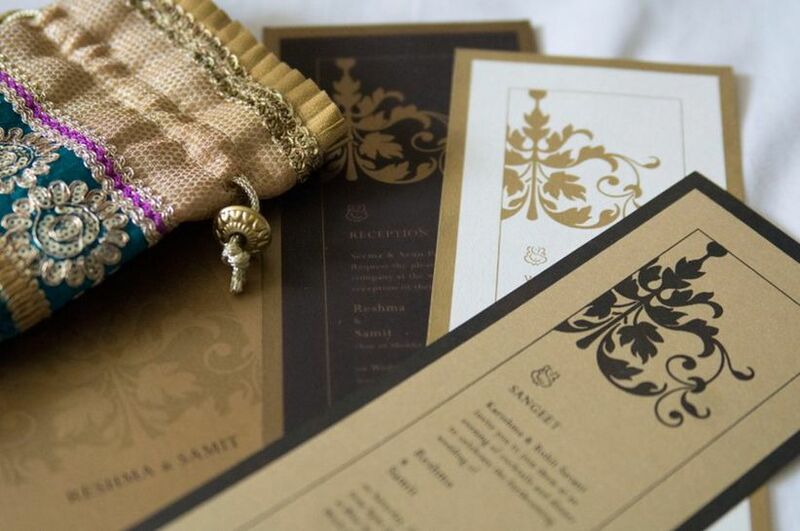 To make things less chaotic for you we have listed a few things that you must keep in mind when planning your invitation card. Often, guests get confused about the timing or location of the pre-wedding functions, especially if it’s a new city for them. To avoid disgruntled, tired guests, make sure the main information, like the timing, date, and location, stands out on the cards. Have a map printed on the venue on the back of the card. This will help them reach the venue easily. Adding a QR code for the google maps location will be welcome by all guests. Instead of a whole list of people you want to please, only put the names and numbers of people who will be able to help your guests during the wedding. Ideally, these should be people who are close to you and who know exactly what’s going on. Since you’ll have your hands full with one of the most important days of your life, you need someone else to handle the madness. An intimate wedding will be much more enjoyable for you instead of a full-fledged and somewhat crowded one. You will not be able to everyone proper attention and all your stage time will be spent in 5-second meet-and-greets. 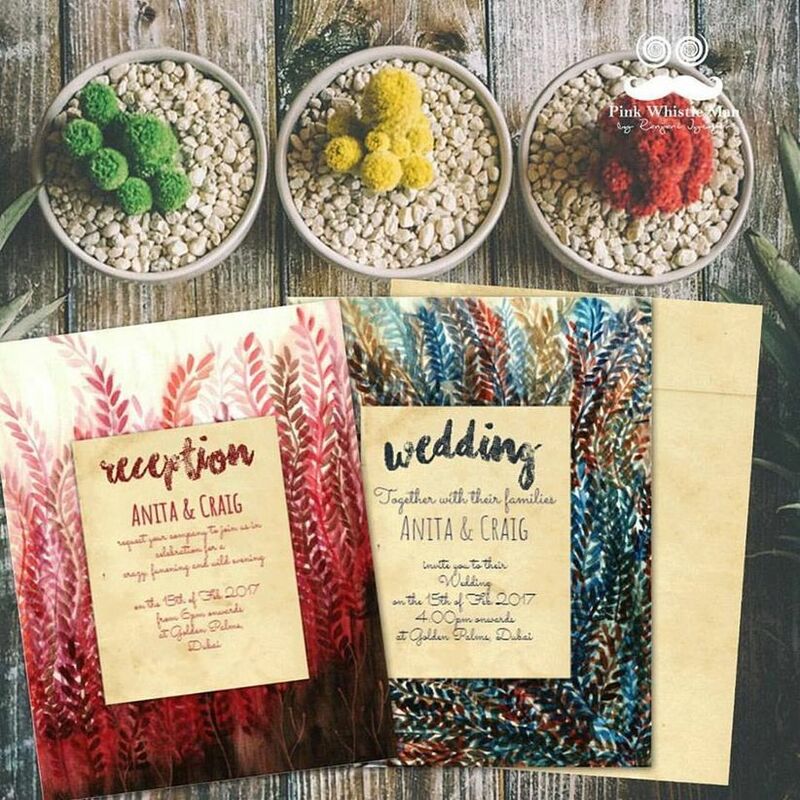 Instead of the regular wedding card designs that are produced by the dozen, incorporate a personal element in your card like personalised invitation wording or pictures from your pre-wedding photoshoot. Not only will that make your card stand out, but it will also be something that you and your fiancé will cherish as a loving memory from your wedding. Everyone puts sweets or dry fruits into wedding boxes these days. If you want to stand out from the crowd, try to find out the general preference of your guests, something you know they will appreciate and use that as a giveaway. You can go organic with a tea selection or low-fat snacks considering most guests are diet conscious these days. 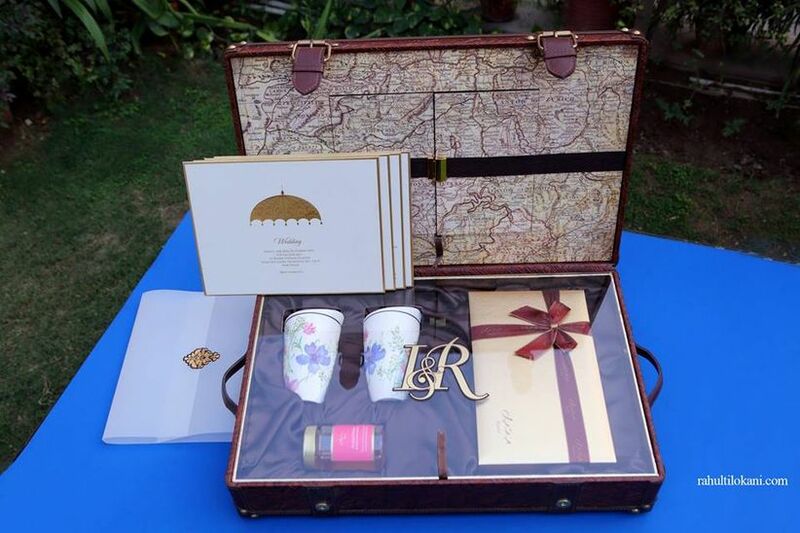 Gifting candles and oil diffusers can also make for a wonderful giveaway with your wedding invitation cards. If you don’t want your wedding invitation cards to be religious, don’t crumble under pressure from your designer or your family. Instead of a religious note, you can use that space to write about your story or include unique wedding invitation quotes or even some lines from famous wedding songs. 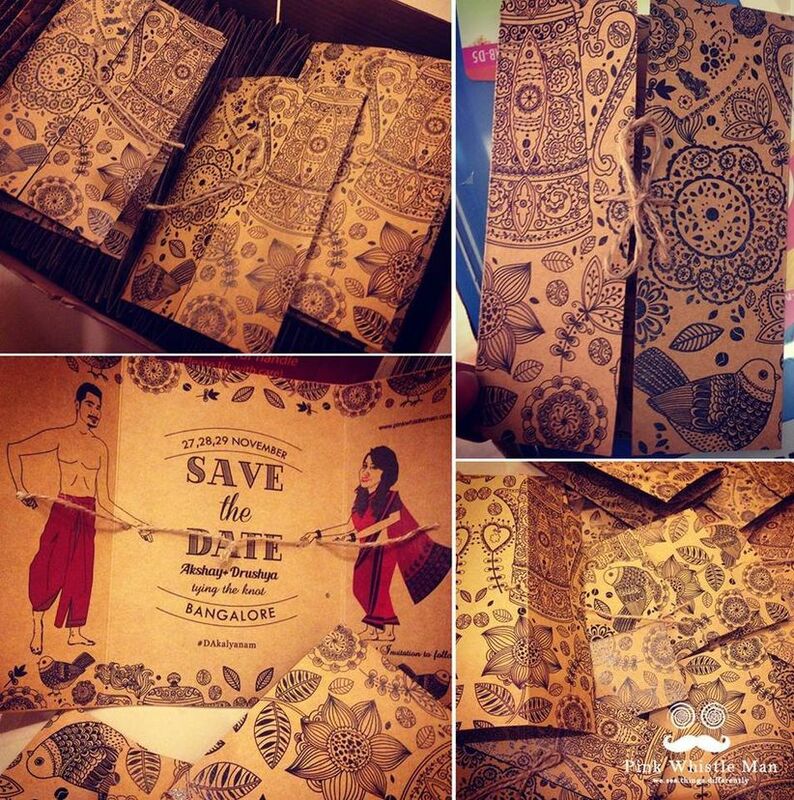 You can also put your own spin on the traditional wedding invitation cards and create something funky and unique for your wedding guests. Dress codes can be tricky, especially if you’re deviating from the norm. If you must have a dress code, mention it clearly on the card so that you don’t get an awkward mix on your wedding day. 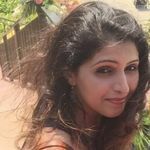 Dress codes are best kept for the cocktail, Mehndi, or Sangeet, and not the wedding since the actual nuptials are more of a traditional ceremony. Take inspiration from Sonam Kapoor's Mehndi ceremony where she hosted an all-white event. While it’s great if you have a design in mind for your wedding invitation cards, listen to what your designer has to say as well. They may be particularly good at a new printing technology which you don’t know about or have more creative designs than you could have thought of. Have an open discussion with your card designer to make sure you’re 100 per cent satisfied with the final result. They might even give you ideas that could double as engagement decor options. 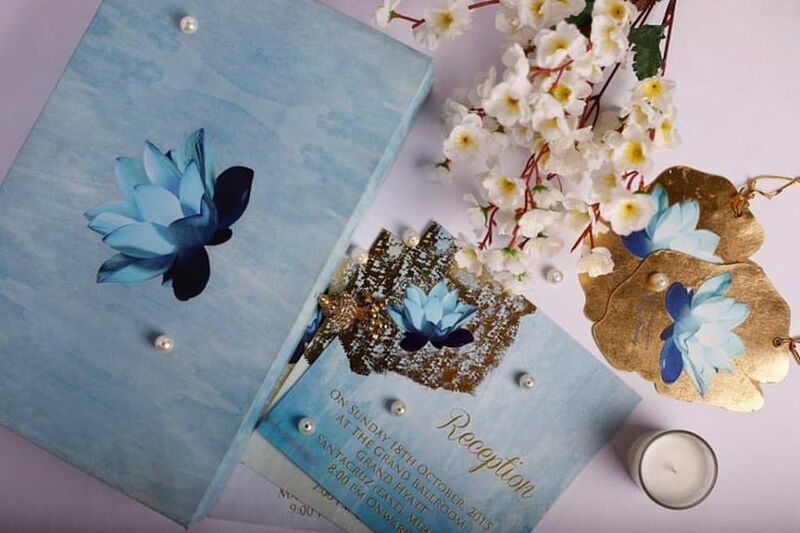 Once the wedding invitation cards are out of the way, you can concentrate on everything else that needs your attention like the bridal lehenga, wedding photographer, jewellery, wedding decor and more. But don’t delay your cards, because the earlier you get them out, the higher attendance you’ll have at your wedding. 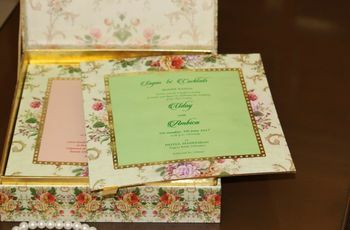 Alternatively, you can also send for some printed wedding invitation cards and have the rest as e-invites. They will be much easier to send and keep a track of. Plus, everyone has WhatsApp these days. So, accessibility will also be not a concern. 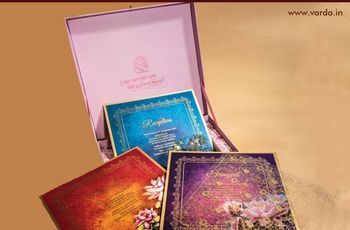 Connect with an expert wedding invitation cards vendor today for your wedding.